This week I stuck my hand in my little support accessory case and pulled out the Really Right Stuff B2-FABN-Micro clamp to show you guys. This tiny little Arca Swiss compatible clamp is another item I carry around for all sort of different uses. 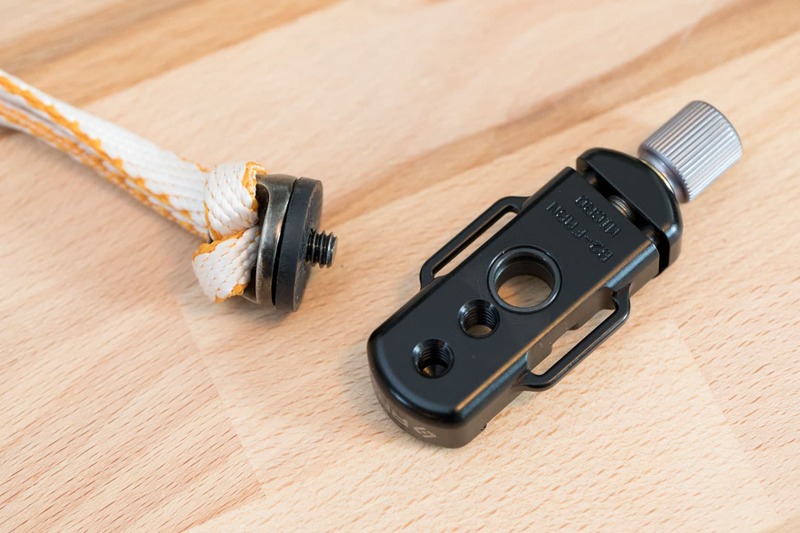 As you can see, it has two 1/4″ 20 threaded sockets on the bottom so you can screw it onto things like light stands, pocket tripods and ball heads. 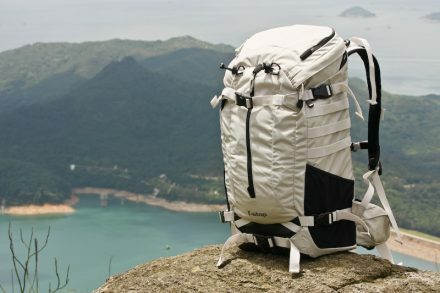 It also has two strap lugs on it for attaching a camera strap, and a QD socket in the middle. 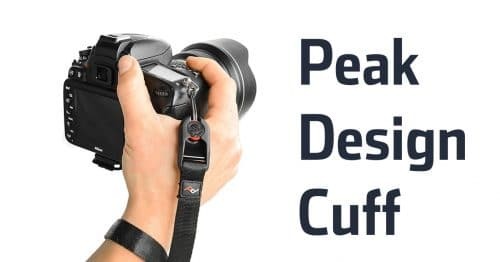 The QD socket is a kind of quick release mount that’s popular on firearms, but RRS is trying to push it into the photo industry because it’s robust and reliable. 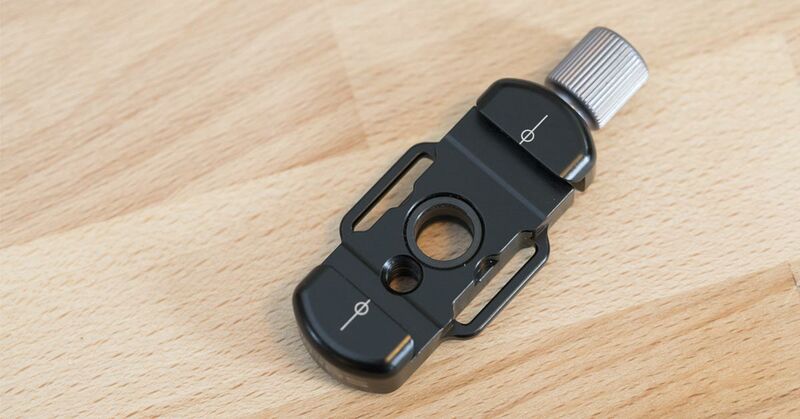 Most of their new camera plates and l-brackets have a QD socket on them, but for those that don’t, you can use this B2-FABN-Micro clamp to convert any legacy gear that is Arca Swiss compatible. 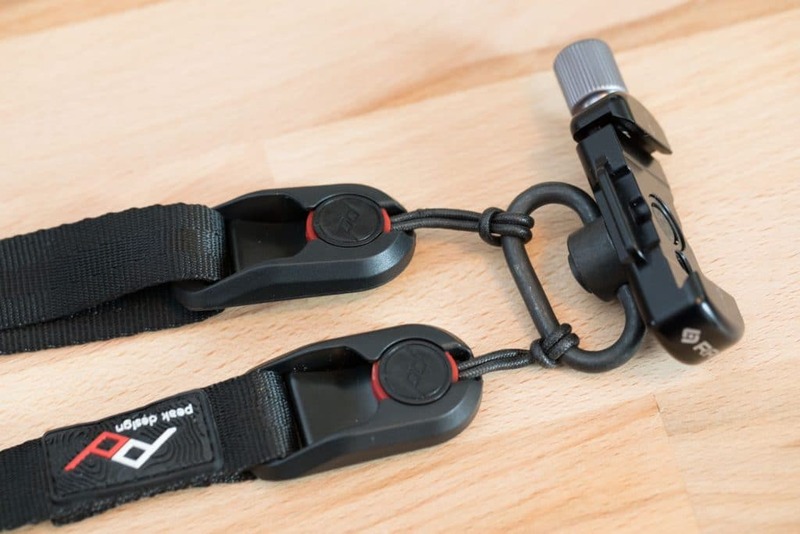 To use the QD socket you’ll either need a strap that has a QD mount on it, or you need to purchase these QD swivel mounts and attach your favourite shoulder strap to that. 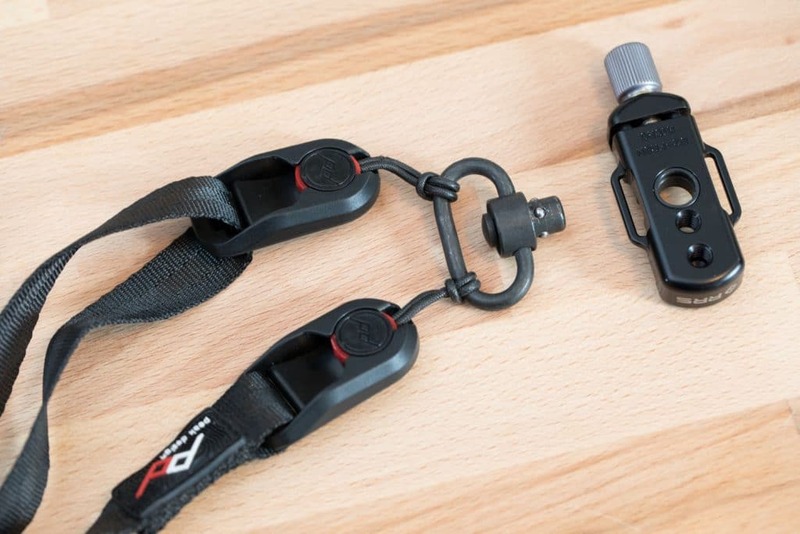 With a push of the button on the swivel mount, you can engage the strap into the micro clamp. 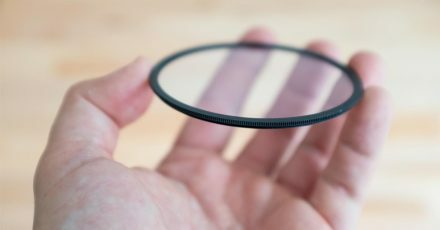 This is a very solid connection, and I’ve no qualms about carrying expensive professional cameras and lenses around by hanging it from the micro clamp with a QD swivel. 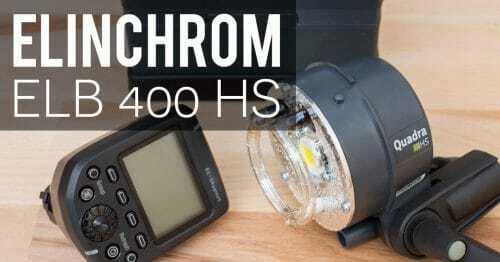 Another way that I use this is with my climbing photography camera tether. 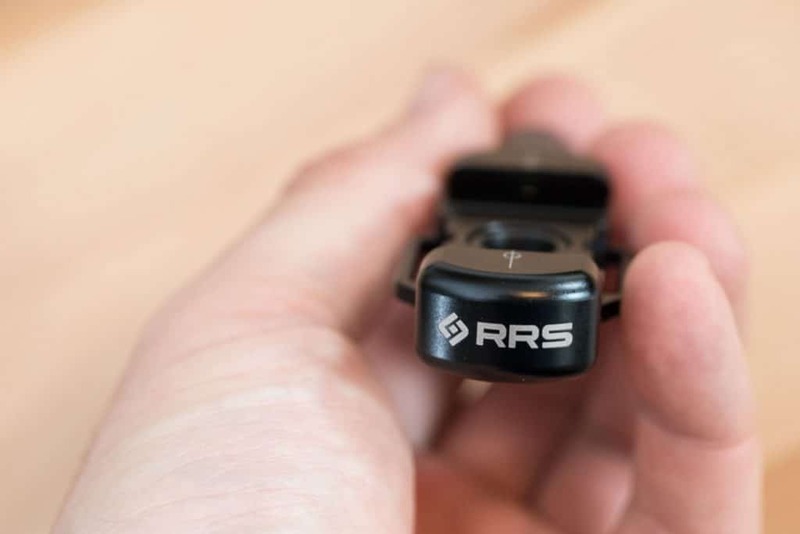 This is just another one of those small items that RRS does so well – impeccably manufactured and extremely well thought out. A few weeks ago I showed you their tiny little hot shoe adapter, which is another item I always keep in my bag. You could of course combine both that adapter and this micro clamp as an extremely low-profile way of attaching an Arca compatible clamp to a hot shoe as well. Gear Check: Sony RX10 II in the House!